When it comes to buying a home, one of your top priorities will be to find a mortgage and a competitive rate. Last December, The Fed raised interest rates after a historical low. Many people said this would cause mortgage rates to rise as well, even though mortgage and interest rates are not directly related. Depending on the circumstances, you’ll be paying off your mortgage for the next 15 to 30 years, so it is probably best to understand how mortgage rates work. There are two different types of interest rates for mortgages used by the loan company. The first is the traditional “interest rate” and the other is APR (annual percentage rate). The APR shows you your interest rate after the initial loan fees, application fees, and prepaid interest, that’s why the APR is usually more than the original interest rate stated. You can use the APR to compare loans and find the best possible interest rates. When you begin calculating your monthly housing payments you have to remember all the fees, because they’ll add up and throw off your budgeting. Many mortgage companies nowadays, won’t even consider you for a loan if you do not have homeowner’s insurance already lined up. The cost of your insurance plus real estate taxes will be put into the same account and added to your monthly payments. To begin calculating your monthly payments, you need to know your interest rate. Interest rates are computed monthly on most mortgages, so once you find your interest rate, divide it by 12 to get your monthly interest rate. There are many tools online that can help you calculate your monthly payments, including your principal, interest, taxes, and insurance. When it comes to fixed interest versus adjustable-rate mortgage, there are a few things you should know. Every time interest rates go up or down, your lender will recalculate your payments accordingly. So that means when interest rates go up, so do your payments, but when they go down, your payments will follow. Fixed interest, on the other hand, stays the same regardless if interest rates go up or down. Adjustable-rate mortgages are a bit riskier, so take caution and do some research. A few factors that determine your interest rate will be your credit history, your down payment, and the current housing market. The better your credit score and credit history are, the better your interest rate will be. That is why it is important to build a solid credit score before you begin the home buying process. As for your down payment, 20 percent is the standard, but many lenders nowadays are accepting as low as 3 percent. This is helpful for those who may not be able to afford 20 percent of the principal, but the bigger your down payment the better your interest rate will be. Buying your first home can be one of the most exciting times in your life. It’s the moment in which you have finally reached your full independence. You’re no longer spending your money on rent payments that in the end, will give you nothing. Buying a home means you’re making payments towards something tangible. Buying your first home can be a bit overwhelming if you’re not prepared, so here are a few tips that will hopefully make this a smoother process. Your credit is one of the most important factors when trying to secure a home loan. If you don’t know your credit score, it is best to use one of the many free credit score tools that can be found online. Just because you make your payments each month does not mean your credit is stellar, credit scores factor in the amount of credit you use versus your credit limit. It’s best to find out your credit score now than when you are shopping for a home loan. Fixing a credit score does take time, so if your credit is low, start working on it six months before you begin house hunting. You should start tracking your spending and figure out where your monthly income is going. Even if you don’t have too many liabilities each month, cutting costs anywhere will be beneficial in the long run. Also, it’s best to look at your assets versus liabilities the same way lenders will be. If you’re a private contractor or straight-commission sales person, be prepared to have proof of income from the last two years for lenders. Throughout the home buying process, staying organized will help keep your sanity. There is a lot of paperwork that has to be processed and it can easily be lumped into one pile. Lenders are going to want to see two recent pay stubs, the previous two years’ W-2s, tax returns, and the last two months’ bank statements. Collecting and organizing all this paperwork will help keep the lending process smooth. At this point, you should already have an idea of what you can afford. Before you meet with any lenders, you should use one the of the online calculators to figure out your debt to income ratio. Although many lenders don’t have a specific ratio, old standards say no more than 28% of your monthly income should be spent on housing costs. This ratio is called the front-end ratio. Your back-end ratio shows what percentage of your monthly income covers your debt. Many lenders like to see 36% or less, but some even accept 45% or higher. In years past, 20% down was the standard, but recently, many lenders are accepting payments as low as 3% down. 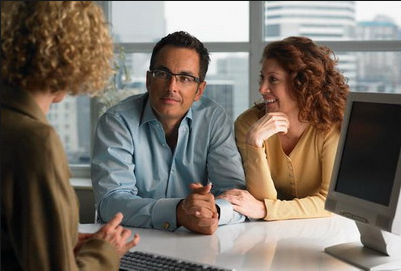 Find a lender you can trust and work with them to figure out what is best for you to put down. There are even programs that can assist buyers with certain incomes or situations. Check out the HOME Investment Partnership Program to see if you qualify. Flipping homes has now become famous thanks to shows like “Flip or Flop” or “Flipping Vegas,” but is buying a flipped home the best idea? 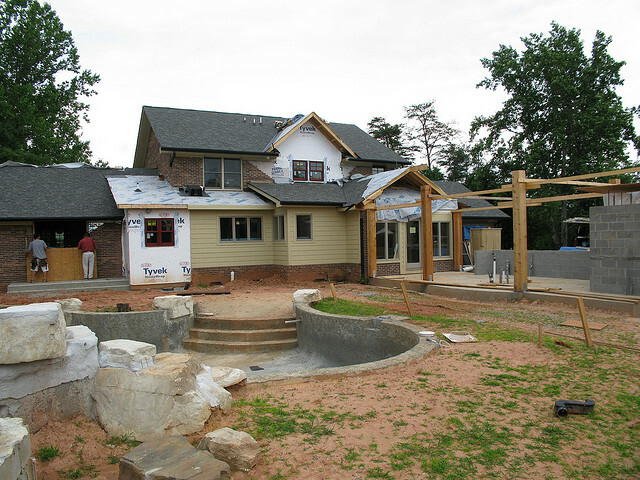 Buying a flipped home saves you all the work of renovation that would have had to be done. Many times flippers give the home a cosmetic renovation that involves new appliances, updated cabinets and countertops, and fresh paint. Most of the time these houses are great to buy, but buyers should be more careful when purchasing a home that has had renovations that involve structural changes. Here are 5 things to check before you buy a flipped house. This is probably the most important detail to find out before buying the home. A flipped home can look brand new, but you should know how old the home is. Find out if there have been any add-ons, like an extra bedroom, a second floor, or a breakfast nook. Also, look into the selling history of the home. If the home was purchased and then resold six months later at a higher market value, this most likely indicates a flip. Look into the seller’s previously flipped and sold homes, they should have a track record if they do this regularly. 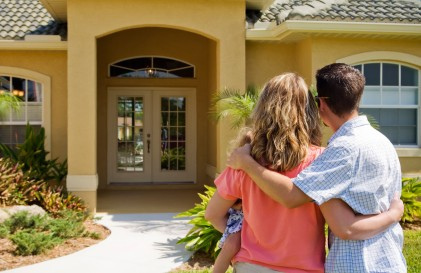 Don’t be afraid to ask for the previous buyers and contact them to find out if they are satisfied with their home. Most of the work that is done on a flipped home is done in the bathrooms and kitchen. New faucets and appliances are added to enhance the appearance. Simply flipping on the sink or flushing the toilet will give you an idea if there are any other problems, such as plumbing issues. Turning on the water will let you know if there are water pressure or heating issues, or if they are hooked up to a water source at all. Some states have a full-disclosure policy where the seller is required to share all of the changes made to the home with the buyer. Along with all the changes made, the seller has to share all the known details about the home. If you do not live in a full-disclosure state it is best to ask the seller for a full, detailed report of all the changes made and to sign it. In addition to a detailed report of the changes, ask for permits where they are needed. Check with the city to make sure permits were not only pulled, but were inspected and approved. If changes were done and they did not acquire permits, that should be a major red flag right there. Some improvements don’t require permits, though. Hire an inspector that has experience and that is accredited, licensed, and insured. Since you have researched where the improvements that involved permits are, hand that over to your inspector. Experts say buyers should hire an inspector before the closing process so if there are any issues they can be resolved before. If you do find problems and they are not major, you can negotiate with the seller to either have them fixed or have them lower the price. Can the U.S. Housing Market Withstand the Rate Hike? Last Wednesday The Federal Reserve increased interest rates by a quarter of a percent. This is a big move as interest rates have not been increased in seven years, before the housing market crash. 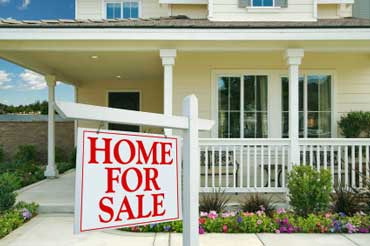 Although rates were increased by only 0.25 percent, home buyers across the nation are concerned. Understandably so, mortgage rates have been at an all time historical low, so what does this mean for buyers? Can the housing market withstand the increase? The economy has seen growth in the last few years thanks to low interest rates, steady job gains, and improving household finances. The first half of 2015 was strong, it was a matter of time before The Fed increased interest rates. The Fed has stressed that they are planning to increase rates gradually and in small increments. Over the next year, they plan to increase rates by 1 percent, which will boost the economy by 0.15 percentage points and 30,000 monthly job gains. As for the housing market, the last few years we have seen a recovery and 2015 being the best year so far. The recovery has been partly due to low mortgage rates, but mainly from job security and economic growth. 30-year mortgages are priced off 10-year Treasury note yields, which do rise as short-term rates climb, but not as steeply. Economist don’t believe the quarter of a percent hike will immediately impact mortgages. The market has been anticipating the hike for months and have priced with the move. Economist also believe the hike won’t have much of an impact on the housing market over the next year. If rates do go up one percent, mortgage rates can be expected to rise to 4.1 percent from 3.9. A $225,000 mortgage monthly payment would raise $26 to $1,454, this is not enough to deter buyers. Adjustable-rate mortgages, which are usually modified annually, could see an increase about twice as rapidly, by about a half a percent. But, economists are saying if steady jobs and incomes increase, the rate impacts should be modest. Although we have not seen an increase in interest rates in nearly 10 years, buyers should not be concerned. The impact this will have on the housing market will be modest and with a strong economy, the housing market will strive this coming year. When it comes time to sell a home, many people choose a realtor within an hour and don’t spend the time researching what they really need and want. If you were going to buy a car you wouldn’t just choose the first car you see on the lot. You spend weeks or months researching which car suits you best. So when deciding, here are 5 questions you should ask your potential agent. 1) How many sellers are you currently representing? A realtor with many sellers is a great sign that they are a good realtor and trusted, but too many sellers can result in the division of their attention.There is no set number that is too many, it really depends on the individual realtor. 2) How many homes have you sold in my target neighborhood? This is an important question because you want someone who is experienced in your area. When you ask a good realtor should have a comparative market analysis or a list of homes recently sold or for sale on hand. Luckily, many agents focus their work on specific cities or neighborhoods, making them the best candidates for selling your home. 3) What price do you think my house will sell for in the current market? This question will give you an idea of your agent’s knowledge and thought process. An experienced realtor will take data from the current market, data from a pool of comparable homes, and your home’s condition and amenities. Don’t be too concerned if the number they give you is lower than expected. Many times sellers believe their home to be worth more than it actually is. But if you really feel the price given is way too low, don’t be afraid to cross check with other home valuation sources. 3) Who else will be working with me? Agents usually work with a team of people, but most of the time spent should be with them personally. It is good though to find out who the others are on the team. 4) What are your marketing and advertising plans for my house? This is important in understanding the expertise of your agent. Marketing and advertising methods should go beyond just listing your home on multiple listing services. There should be a mix of online and offline methods. And don’t be afraid to ask for previous examples of their sales material from previous sellers. We specialize in helping our clients find or sell historic home in beautiful Long Beach. For more information visit us 244 Redondo Ave, Long Beach, CA 90803 or call at 1(562)577-5021. 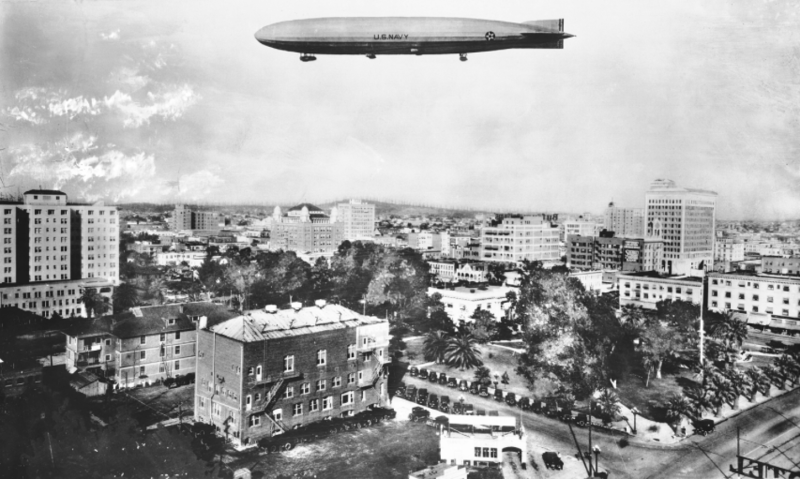 Long Beach has a long history that can still be seen and witnessed today. The city boasts many historical districts that are still standing and can occupied by current residents. Many don’t know the history behind these beautiful landmarks that make up our city but it began to take shape into its modern layout in the late 1800s by developer John Bixby. In the 1880’s, John Bixby first bought the land that is known as Alamitos Beach from farmers following a bad drought. Bixby was trying to capitalize on the Southern California’s land boom when he suddenly died. The land was divided up by three different parties. Before Bixby died, he had originally given the streets Spanish names. The land was annexed to the city of Long Beach in 1905 and the street names were changed. Descanso became Orange Avenue, Independencia became Cherry Avenue, Kalamazoo became Kennebec, Modjeska is now Molino and Naranjo was renamed Temple. A streetcar line was established on Ocean Blvd to transport people to the newly developed communities on Naples Island. Bluff Park was donated to the city in 1919 by the Bixby family. Soon after, the boom of the movie era began and Long Beach became a central area as Balboa studios opened at 6th and Alamitos Ave. Many silent film stars began to move to Long Beach because of its temperate climate and luxury homes. Clark Gable and Carole Lombard first began their love affair at the Weathering Heights mansion on Ocean Blvd. Marie Osborne Yeats, who was the first child movie star, pre-dating Shirley Temple by 20 years, lived and shot movies around this area. Today, the historical districts are the more desired and exclusive neighborhoods in Long Beach. The area has no businesses, churches, or public buildings. Many of the homes there were built between 1903-1949 and have a variety of architectural styles from Victorian to Old English to Spanish Colonial Revival. In 1990, guidelines were established to ensure the preservation of the historical district and keep it from becoming over-developed. We specialize in helping our clients find or sell historic homes in beautiful Long Beach. If you are interested in finding the right home for you contact us at (1562)577-5021 or check out our websitemike@mikenorton.com. Introducing Mikle Norton’s New Website! Mikle Norton is Long Beach’s hardest working real estate agent with a wealth of knowledge and experience in the area. Mikle’s new website is a one-stop real estate page for prospective buyers and sellers in Long Beach. The site includes information on the many historic neighborhoods and helpful tools for buyers and sellers, including a home valuation tool and mortgage calculator. The home valuation tool is easy to use and anyone can do it. Input the information asked about your home and Mike can provide you with the true value of your home. Fill out the form by providing simple information like square footage, number of bedrooms and bathrooms, property type, and location to receive an accurate home value estimate. Having called Long Beach home for over 20 years, Mike has a wide understanding of the fair market value of a home. Use the website to also learn the advantages and disadvantages of renting vs buying a home or new home listings in your area. 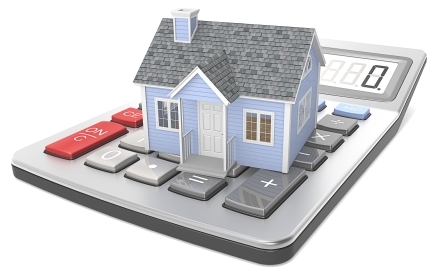 You can also figure out your estimated mortgage rate by using the mortgage calculator. With 20 years of experience as a past mortgage broker, Mike is able to help buyers pick the right lenders for financing. Buying and selling a home can be a stressful experience, but with Mike’s professionalism and expertise, this task is made easier. He is constantly receiving training to keep him up-to-date and relevant in the real estate field. 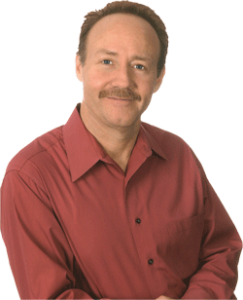 Whether you’re looking to buy a home, sell your house, or need consulting on home selling tactics, Mike can help. His top quality service, communication, and passion for real estate is why Google calls Mike the hardest working realtor in town. The website was designed with the user in mind by keeping vital information in a clean and organized manner that is easy to find. Check out the rest of the website and see what Mike can do for you today.